Russell Crowe and director Ridley Scott have made lots of great movies together — Gladiator, American Gangster, Body of Lies. 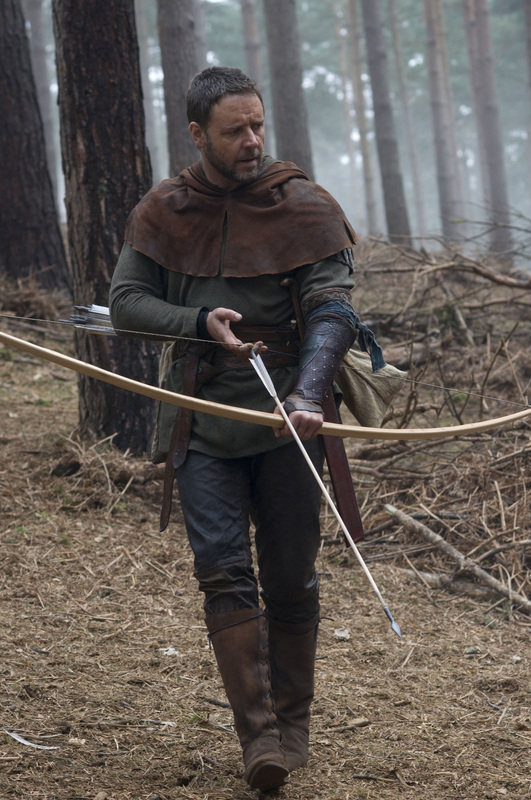 Now they’re teaming up for a new Robin Hood epic called — wait for it — Robin Hood. I love the Kevin Costner version (directed by Kevin Reynolds, who went on to make one of my favorite movies, The Count of Monte Cristo), and I can’t wait to see what Crowe and Scott do with this. Click it to see it as big as a house. Especially the clean simplicity of the bow. William Hurt as William Marshall. Not this William Marshall. More like the Earl of Pembroke. Kevin Durand, who was excellent opposite Crowe in 3:10 to Yuma, is Robin’s faithful friend, Little John. Mark Strong, who was in two of my favorite movies, Stardust and Sunshine, is Sir Godfrey. Living legend Vanessa Redgrave is Queen Eleanor of Aquataine, not to be confused with Queen Olivia of Ovaltine. Will Scarlet, played by Christian Slater in the Costner version, will be played by Scott Grimes. And my favorite bit of casting is that Maid Marian will be brought to life by one of my absolute favorite actresses — Cate Blanchett. Can’t wait. 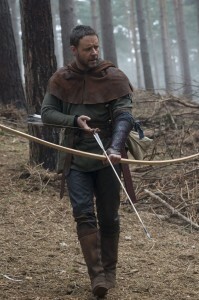 The release date is May 14, 2010, and if you don’t want to wait that long for some Robin Hood, join me on May 26 to watch the Blu-ray of the Costner version.